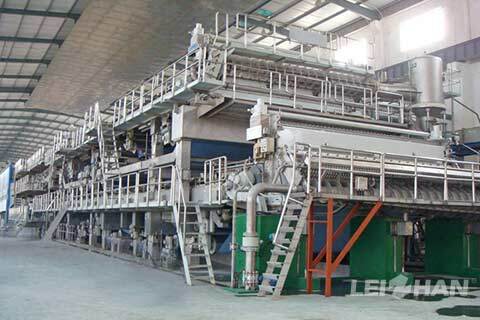 A4 paper pulp preparation line is used for pulping the commercial wood pulp, which is to make high-quality A4 paper. The capacity is 30t/d, Pulping time is 18h. A4 paper pulp preparation machine mainly include: Conveyor, D Type Hydrapulper, High Density Cleaner, Refiners, Headbox, etc.